The brief when designing the Chiron was quite simple: make it better than the Veyron in every respect. So that’s exactly what the company has done. At the end of my day with the Bugatti Chiron, that question is rolling around in my mind and the answer never comes to me. For this is an automobile that exists in its own stratosphere, where budgets seem to have been left at the factory doors and scientists – yes, scientists – have been given free reign to do whatever is necessary to achieve their goals. Finding the words to do it justice seems like too big a stretch, yet that’s exactly what I have to attempt. 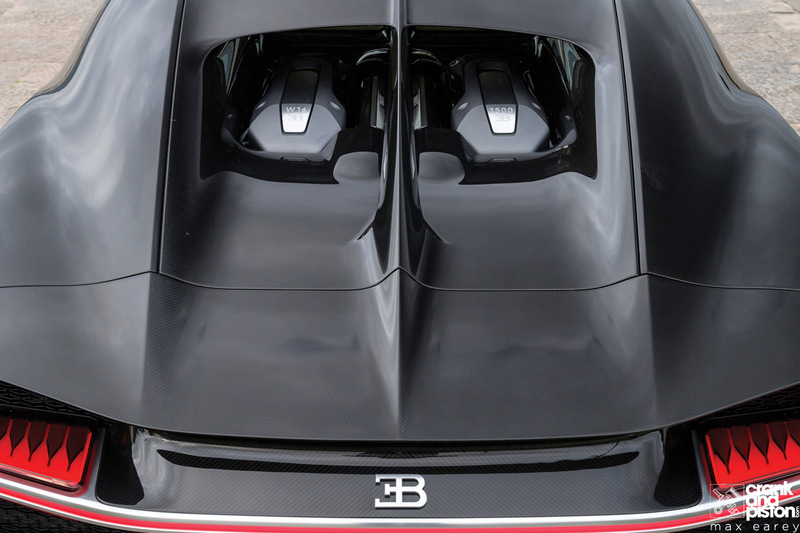 After the so-called ‘trinity’ halo hypercars (Porsche’s 918 Spyder, McLaren’s P1 and the LaFerrari) stormed onto the scene, we came to expect future machines to be part electrified but, when Bugatti considered which powertrain should reside under the skin of the Chiron, it dismissed the idea of hybrid technology. Not because the company doesn’t care about it, but because it would add weight and require a completely different body style. Like the Veyron before it, the Chiron is a masterpiece of packaging, with barely a square millimetre under its carbonfibre flanks going spare. The hypercar is evolving at a rapid pace. You need only look at the upcoming Aston Martin Valkyrie or AMG Project One to see that designers and engineers are operating now at the very edge of physics. And while the Chiron looks more traditional than those outrageous future models, it’s still able to confound with numbers alone. So let’s have a look at some of them. Its engine is not simply a tweaked Veyron unit, despite some similarities. It still has 16 cylinders in a W formation, displacing eight litres. 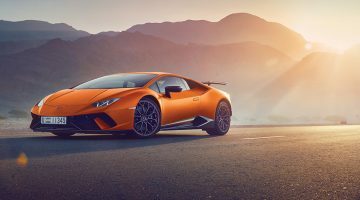 It still has four turbochargers but they’re much bigger than before, and torque is still sent to all four wheels via a seven-speed twin-clutch sequential gearbox. Speaking of which, the Chiron develops 1180lb ft of the stuff and 1479bhp (or 1500hp if you’re into the metric system). From rest to 100kph takes “less than” 2.5 seconds and its top speed is 420kph. That’s electronically limited. Michelin has developed bespoke tyres for it that will withstand such speeds but any faster and there are no guarantees. It’s understood by some, however, that before the Chiron’s production run ends it will have been developed to achieve nearly 500kph. Just 500 will be built and half that number have already been bought. It’s 4.5 metres long, two metres wide and 1.2 metres tall. It gulps down petrol at an average rate of 23 litres every 100km and its CO2 output is a rainforest-wilting 516g/km, so it’s safe to say environmentalists will be giving it a wide berth. You might want to go over some of those figures again and let them sink in a bit. At no point in the tenure of the Veyron as the world’s fastest production car did anyone emerge from one saying it could do with a bit more poke, but the Chiron’s gains over it are phenomenally big. However, the new Bug needed to offer more than increased power and straight-line speed – it needed to be an entertaining steer that could tackle hairpins without having to take them at a pedestrian pace. Surely with all this extra firepower it would be impossible to make the Chiron a car you can carry immense speeds through corners with. Bugatti, however, doesn’t allow things like impossibility get in the way of progress. And there are young men and women now employed at the French factory who have little interest in cars but know how to develop computer hardware and software to bend the laws of nature. It’s these people, as much as the company’s dedicated development drivers, who have made the Chiron what it is. There’s no hiding the car’s intentions when you see it in the wild. It looks like it could tear your head off with a quick slap – not exactly beautiful to behold, perhaps, but dripping with purpose and attitude. There’s a French flair to the curves that dominate the side panels and the centre line of the cabin, which definitely comes across better in reality than in any photograph, and there’s a precision to the build quality that is absolutely jaw-dropping. The way the carbonfibre panels have been mated together, for instance, is a masterstroke – everything is as perfectly made as it’s possible to be. The mind-boggling build quality continues inside. Certain Lamborghini and Tesla owners might scoff at the Bugatti’s normally opening doors but there’s something reassuring about them. The space within is no less than mission control, where everything is centred around the driver, providing clear cut information with impeccable style. No huge central infotainment screens here, thank you. Rather a discreet yet achingly beautiful architecture that might not have the wow factor of a Pagani but is streets ahead of the model it replaces. Beauty is in every detail. The 500kph speedometer is analogue but surrounded by TFT screens that display vital driving information and data. Not that there’s techno overload at play, because the information provided via these screens becomes less and less the greater your speed, meaning you won’t be getting distracted when your concentration should be on driving and nothing else. The elegant centre console is home to the hefty gear shifter and four round, wonderfully machined knobs that control the air conditioning and, when requested, display information that would definitely be of interest to the traffic police. Here is where you get to find out what your maximum speed was, as well as how much horsepower you managed to liberate from its engine. On the move there’s no shortage of civility. Double glazed windows reduce mechanical and wind noise, while the fully adaptive and adjustable suspension provides a ride that’s just the right side of firm for longer journeys. And, like the Veyron, this is a car that’s been designed and built so that anyone can get in and drive without previous experience. Experience, however, is exactly what I’ve had with the Veyron, having been privileged to have driven every iteration over the years and at extremely high speeds, too. Just how different could the Chiron be? The answer is ‘very’. 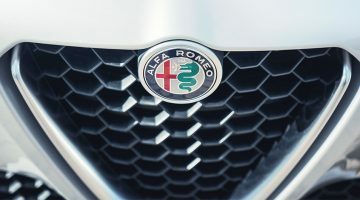 It’s obvious from the very first time I tease the throttle on my drive between Dubai and Jebel Hafeet in Al Ain – a twisting ribbon of mountain road that would soon have a Veyron struggling to keep things together. Fitting those larger turbos could have been disastrous for lag but, up to 3800rpm, only two are called upon, giving the Chiron an immediacy that is shocking to the uninitiated. Beyond that all four come on song and the car just continues to gather pace with an energy that, if you didn’t know better, you’d swear was nuclear in origin. As the Pirelli ads used to say, power is nothing without control and, with nearly 1500bhp on tap the electronic systems keeping the Chiron on the straight and narrow need to be intuitive and instantly reactive, all the while managing to give the driver some semblance of being in charge. 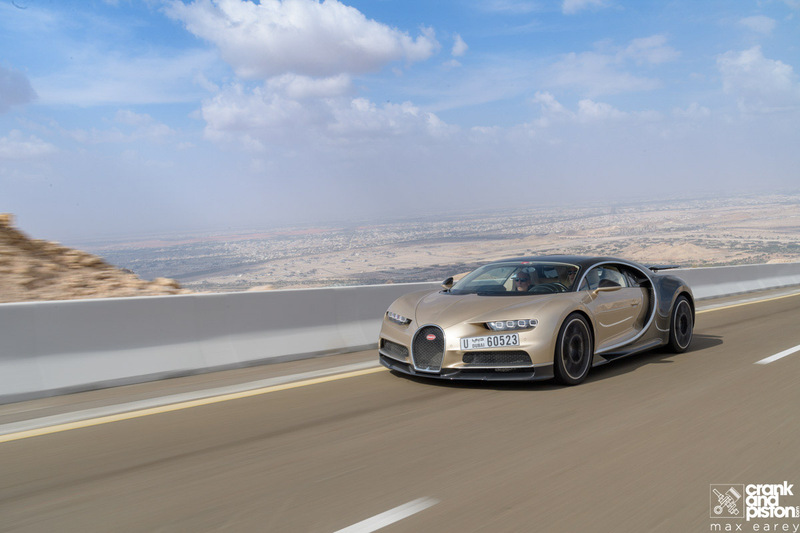 While the Veyron, particularly in Super Sport guise, was always ballistic in a straight line, only the brave or foolish would attempt to give it some stick on a tight circuit, which is what the road up Jebel Hafeet is. The Chiron is another matter altogether – you can throw this thing around hairpins like it’s a big Lotus without worrying about taking any unplanned shortcuts down the mountainside. Point, squirt, hold on for dear life and marvel at the way this car can shrink every stretch of road, no matter how long, destroying everything in its path. It’s a monster that you can sit down and reason with over a coffee – you’re always acutely aware of its formidable power but you aren’t constantly worried it’s looking for every opportunity to kill you. Gear shifts are so quick as to be unnoticeable – there’s an overriding impression that nothing at all has been permitted to get in the way of this Bugatti piling numbers onto its speedo so fast they become a blur. This isn’t a car for smoking burnouts or graceful drifts, it exists to simply deliver more power and speed than your brain can comprehend and do so while offering all the usability of a Volkswagen Polo. Nobody expected this. Most of us thought the Veyron marked the beginning and end of an era of cars that could top 400kph. We assumed that, once the VW Group had proved its point, the marque might quietly tick over and perhaps launch a luxury saloon in keeping with its heritage. What it has done, however, is the impossible and there are, going back to my opening question, no words to accurately describe it. If you think that spending more than $3 million on a new car is absurd, you’re not alone. But the Chiron is worth every single cent because of what it represents. It is, by some margin, the most incredible automobile ever created. Nothing comes close. Nothing. And while you might dismiss our decision to nominate it as the overall winner in this year’s eCoty as predictable, you’d be missing the point. We haven’t awarded it that accolade because of its performance statistics, its price, its looks or its desirability. 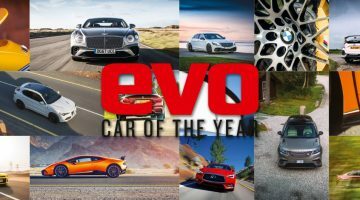 We’ve named it that because the Bugatti Chiron just happens to be the greatest car of, not just 2017 but of any year so far. How will they follow this? We can’t begin to fathom and we cannot wait to find out.